Martha Berry Digital Archive | Contribution letter from the secretary to Mrs. J.D. Rockefeller, Jr.
Anna L. Kelly, “Contribution letter from the secretary to Mrs. J.D. 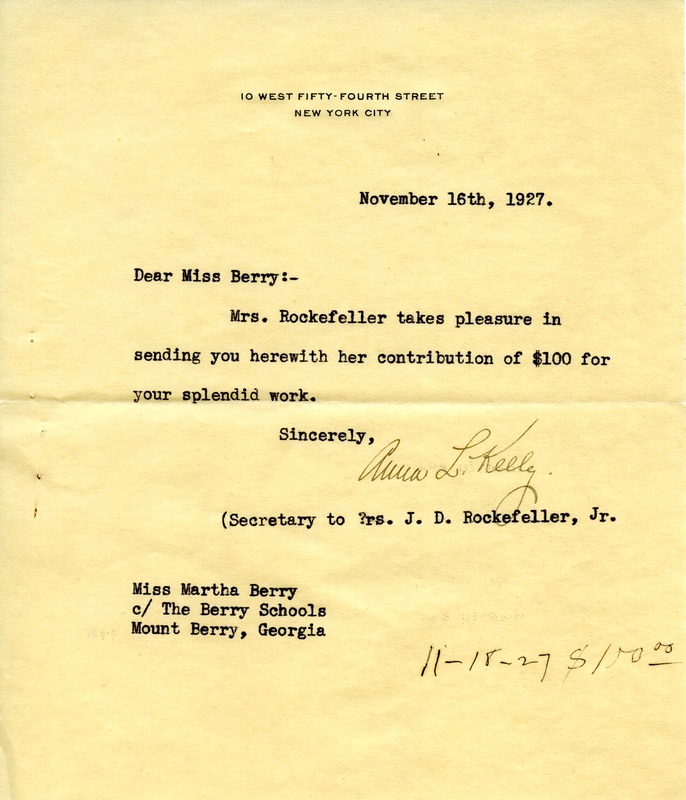 Rockefeller, Jr..” Martha Berry Digital Archive. Eds. Schlitz, Stephanie A., Sherre Harrington, et al. Mount Berry: Berry College, 2012. accessed April 18, 2019, https://mbda.berry.edu/items/show/5656.